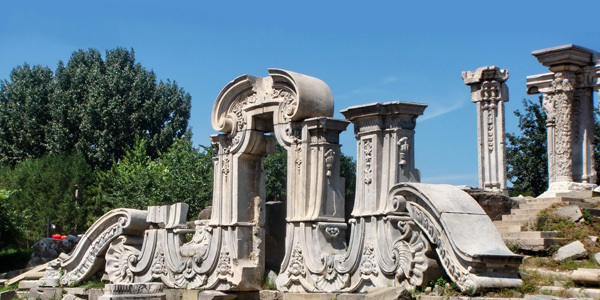 The history of Summer Palace extends as far back as 800 years. In 115 B.C, when the Jin Dynasty made Beijing--then called Yanjing-- its capital, it built an imperial palace that was then referred to as the Golden Hill Palace. The structure still remains on the present site of what residents and tourists both recognize as the Summer Palace of Beijing. In 1750, Emperor Qianlong paid 4.48 million taels of silver, an equivalent of 140,000 kilograms, to invest in building the Garden of Clear Ripples. After a period of fifteen years, however, Emperor Qianlong made a decision to change the name of the hill to Longevity Hill in order to celebrate his mother's birthday. He also named the nearby lake, Lake Kunming , because he wanted to follow the example of former Emperor Wudi of the Han Dynasty 156BC-87BC, who reigned from 140B.C to 87B.C. In these times, he also trained his army in the present day area of Xidan on the grounds of what many historians and tourists now know as Kunming Pool, 206BC-AD220. The Great Wall at Badaling is located in Yanqing County, which is about 60 kilometers northwest of Beijing. It is widely known as the most representative section of the "Great Wall" from the Ming Dynasty. Well laid out with huge uniform bricks, the wall was built on the ridges of the mountains. Various beacon towers were erected at strategic points along the wall. 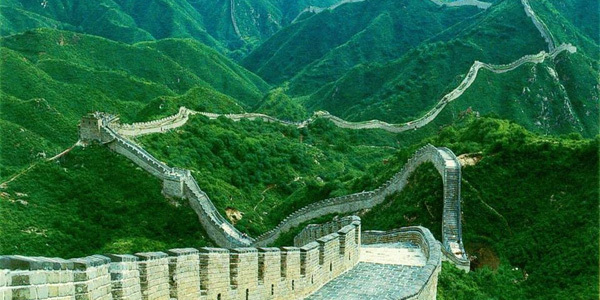 Badaling is a place of strategic importance and its wall is both tall and sturdy. With its many beacon towers, the wall looks magnificent and best epitomizes the magnificence of traditional Chinese architecture. 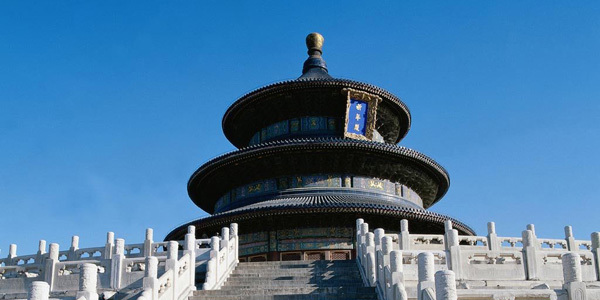 The Temple of Heaven was initially built in the eighteenth year of the Ming Dynasty (in 1420). Situated in the southern part of the city, it covers an area of 273 hectares. 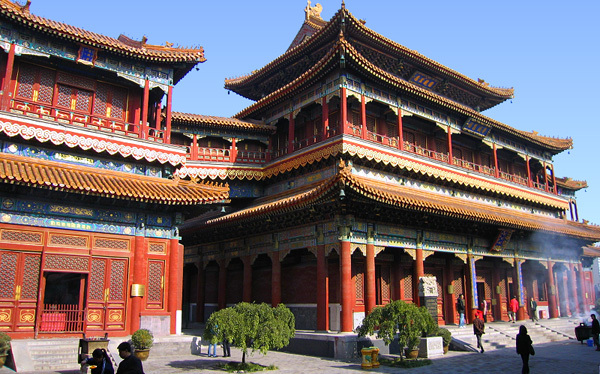 It is a place where Emperors from both the Ming and Qing Dynasties' traveled to worship and to pray for good harvest. The northern part of the Temple is round in contrast to the southern part, which is square, implying that "the sky is round and the earth is square" to symbolize both heaven and earth. 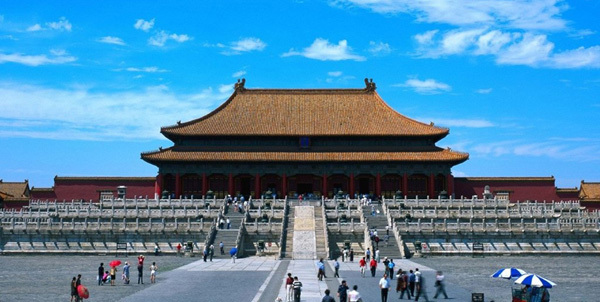 There are a lot of prominent places in this park such as the Circular Mound Altar, the Imperial Vault of Heaven, the Long Corridor, the Echo Wall, the Seven-Star Stone and many other areas of historic interest and panoramic beauty. In 1998, it was included in the "List of World Heritages" by the United Nation's Educational, Scientific and Cultural Organization. There is a circular wall around The Imperial Vault of The Temple of Heaven, which many refer to as the Echo Wall. Legend has it that if you whisper at any point closest to the wall, it is said that one may be able to hear you clearly on the other side. It is said to be so clear that it almost sounds like talking on the phone, and there is a stone in the center of the Circular Mound Altar called the Heaven's Center Stone. Stand above it and shout loudly, you will hear the reverberation. It's a scenic spot that is one of the most frequented hot spots of the city. We're almost sure you'll enjoy your time there. Yonghegong used to be the mansion of the Yongzheng emperor of the Qing Synasty before he ascended the throne. After nine years of Qing Emperor Qianlong's reign(in 1744),Qianlong rebuilt it as the "Tibetan Buddhism sect and it was henceforth referred to as 'Temple Lamaism'. It has henceforth become one of the largest temples of Tibetan Buddhism within Beijing and of China's mainland. 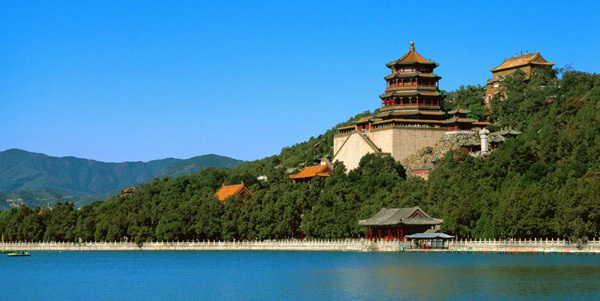 Located in the Haidian district in Western Beijing, Yuanmingyuan shares bounds with the Summer Palace. Firstly established in the 46th year during Emperor Kangxi's reign (1707), it was composed of three gardens, namely, Yuanming, Changchun (Garden of Eternal Spring) and Qichun (Garden of Blossoming Spring). Covering an area of 350 hectares (over 5,200 mu), among which 140 hectares (2,100 mu) are of water, containing more than one hundred scenic spots, it's a large-scale imperial garden with an construction area of over 160,000 square meters run by the Qing emperors for over 150 years. Yuanmingyuan has inherited the traditions of Chinese gardens during over 3,000 years, with a combination of both the grandeur of imperial buildings and the exquisiteness of private gardens in Yangtze River Delta. It absorbs the European style and melts distinctive features together to create an overall harmonious beauty. It deserves the remark "although made by people, it resembles nature". More Scenic spots can be found here.